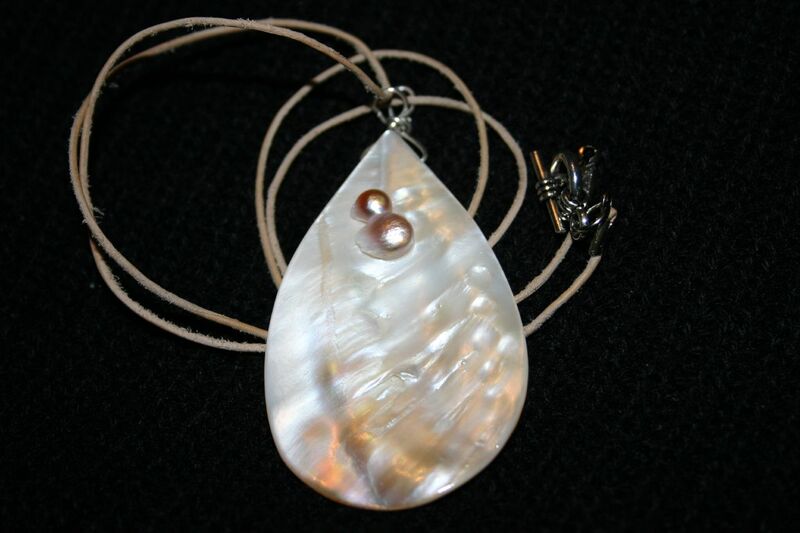 Oyster shell pendant; handmade jewelry with cabochon cut and polished oyster shell. Photo by Rachel/Flickr (Noncommercial Use Permitted with Attribution/No Derivative Works). "There shall be an official state gemstone. The official state gemstone shall be the cabochon cut gemstone, derived from the Crassostrea virginica mollusk predominantly found in the waters of coastal Louisiana." 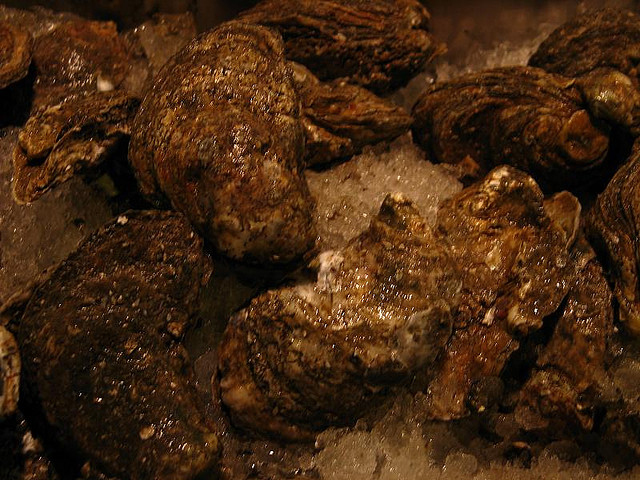 Oysters in the French Quarter of New Orleans, Louisiana; photo by Jennie on Flickr (noncommercial use permitted with attribution / share alike).